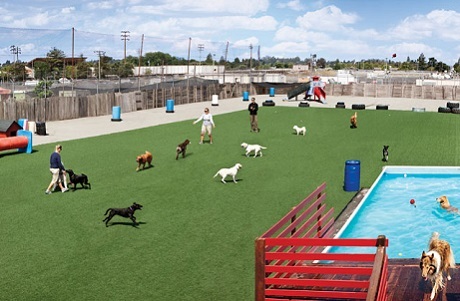 PolyTurf's rapid draining artificial turf for pets features our proprietary EnviroFlow rapid draining backing to eliminate the buildup of odor causing bacteria. 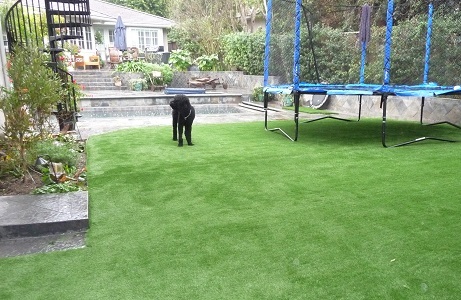 Cleaning is quick and effective with PolyTurf Refresh natural enzymatic turf cleaner and odor neutralizer. 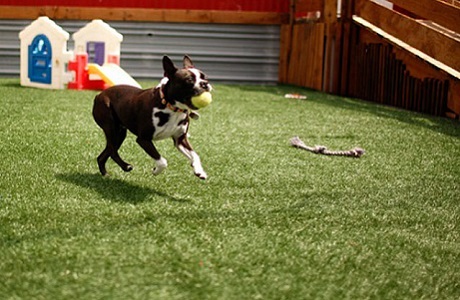 PolyTurf also offers Zeolite, an odor neutralizing mineral infill to keep odor causing bacteria at bay. 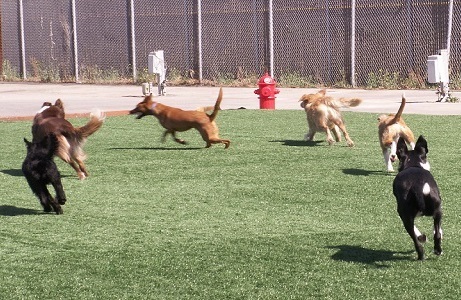 We offer full surface draining solutions to accompany our pet-friendly synthetic turf products. 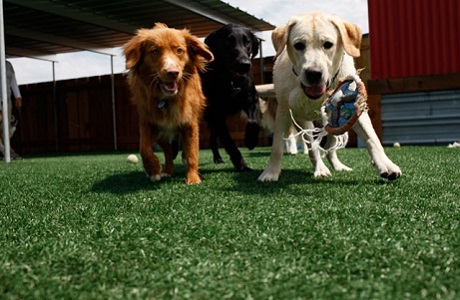 These draining solutions allow you to easily rinse pet urine out of the synthetic turf system to keep it clean and fresh for years to come. Download the PolyDrain brochure for more information on this drainage option.